Americans face an information crisis that can mean the difference between life and death. With the latest prenatal testing technology, expectant mothers have access to early diagnosis of genetic conditions like Down syndrome. But not every woman receives accurate, unbiased information about what that diagnosis could mean, and women may choose to terminate their pregnancies out of fear and lack of understanding. But you can help. This week, in fact. What if purchasing a cool product meant an expectant mother would get accurate, unbiased information about what a prenatal diagnosis of Down syndrome really means? The organization Sevenly partners with Lettercase this week only. For the next seven days, a simple purchase can mean the difference between education and life on the one hand and ignorance, fear and perhaps the termination of a pregnancy on the other. 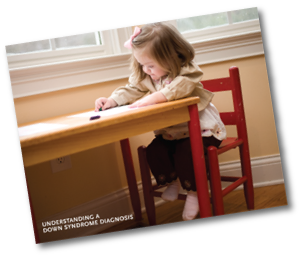 Accurate, balanced information makes all the difference in the lives of children and their families — and in the hope with which they approach a diagnosis that was once considered devastating. I'm pro-choice, and I will always believe women have the right to choose what happens to their bodies. That said, I am against uninformed decisions born of fear. The truth is, what we know now about the lives of individuals with Down syndrome is very different from what we thought we knew a generation ago. Accurate, balanced information makes all the difference in the lives of children and their families — and in the hope with which they approach a diagnosis that was once considered devastating. Sevenly's campaign goal is to provide free books to expectant parents who receive a prenatal diagnosis of Down syndrome so that they have accurate, up-to-date and balanced information about this condition right away. For each purchase, Sevenly donates... wait for it... $7. And that $7-per-purchase donation could mean that Lettercase will meet its goal of providing its information to every obstetrician's office in the country. So, what's with the number 7? Read Sevenly's story. 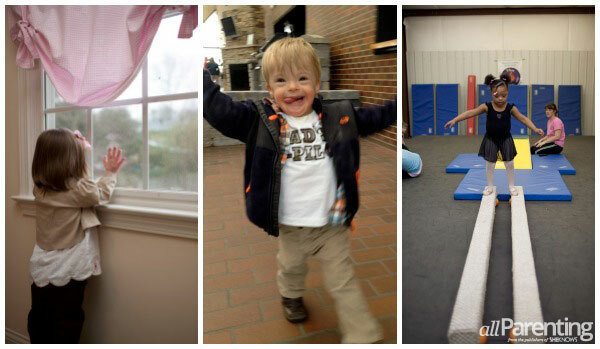 When we received a prenatal diagnosis that our son, Charlie, had Down syndrome, I was overwhelmed and didn't want to dig through the binder of information, resources and contacts our genetic counselor handed us. Affecting about 1 in 660 pregnancies, Down syndrome is the most common genetic diagnosis. "Still, learning of a diagnosis can be an overwhelming experience," points out Lettercase program director Stephanie Meredith. Years ago, she wrote the book that Sevenly is now providing to parents. She now works with the University of Kentucky, to whom she donated the copyright, to distribute the material more effectively. "New and expectant parents need lifelines of information and support right away," she says. We celebrate Charlie's life regularly, because while the decision to have a child with Down syndrome seemed scary, the reality is pure love. What if my "if only" had led to the termination of our amazing, spirited (code for stubborn), funny little boy with hair that gets blonder by the moment and eyelashes that get longer by the day? Thankfully, we celebrate Charlie's life regularly, because while the decision to have a child with Down syndrome seemed scary, the reality is pure love. "Expectant parents describe that moment of diagnosis [of Down syndrome] as a flashbulb memory that they remember with perfect clarity throughout a lifetime," Meredith explains. "Our goal is to make sure that moment is filled with compassion, support and accurate information." Jim Van Eerden is a co-founder and the chief development officer of Sevenly. In 2009, Van Eerden adopted Edison Mateo, who has Down syndrome. "I believe that Lettercase is the most strategic initiative in the country to help... provide educational resources and support for new parents of kids with Down syndrome," he says. ^ Please support Sevenly's campaign for Lettercase this week!